Banksy unveils new work in New York. It’s been more than five years since Banksy's famous NY city residency had street art fans and treasure hunters trekking all over town every day to see the secretive artist’s latest intervention. But it appears that Banksy is back in the Big Apple. Yesterday, he uploaded an image on Instagram of one of his trademark rats painted on the face of a clock adorning a building façade, with the distinctive silhouette of the Empire State Building looming in the background. 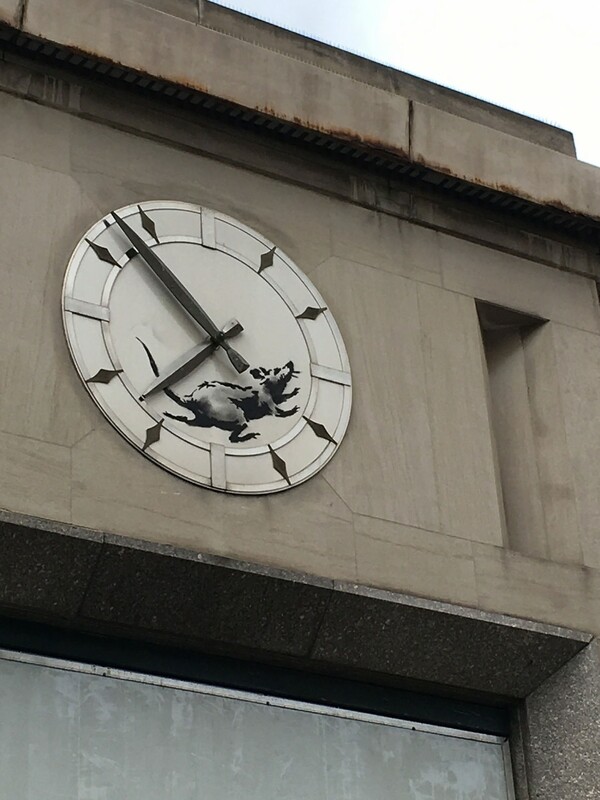 The clock in question adorns a former bank and post office at the northwest corner of Sixth Avenue and 14th Street in Greenwich Village. The building is currently slated for demolition. Since concluding his October 2013 “residency” in New York, Banksy has primarily focused on projects in the United Kingdom and West Bank. 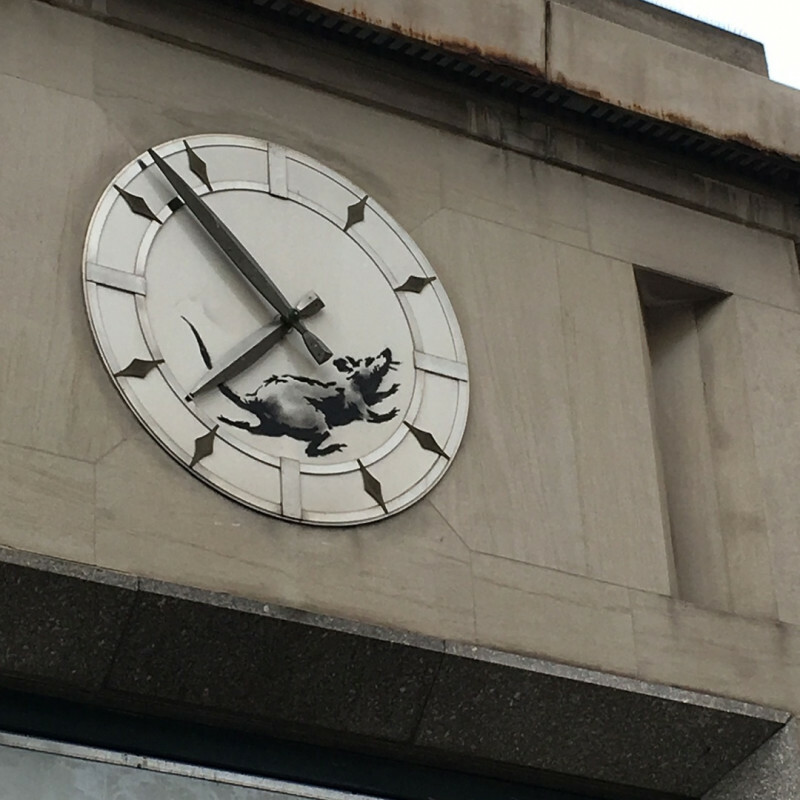 Does the 14th Street rat mark the start of a new series in New York City?